Shifting to and from Guwahati can be a taxing process. Let Agarwal Real Packers & Movers take away the worry from you. We are among the few packers and movers Guwahati who have been in business since 1989. We believe in complete client satisfaction and leave no stones unturned before achieving it. With Agarwal movers and packers Guwahati, you do not even have to worry about the pricing. Our rates are very competitive and unmatched with our high level of service. There are many features that set us apart from regular movers and packers Guwahati. Once you try our services you would never go to another mover and packer. One of the biggest difficulties in relocating whether locally or farther away is moving heavy furniture. Your beds, sofa sets and other articles are more delicate than you think. Usually packers and movers in Guwahati, are not very carefully while hauling or loading furniture. But with Agarwal packers and movers Guwahati, you can rest easy. We believe in using only high quality and durable export grade packaging materials. All your furniture items will be duly wrapped with special attention paid to corners. The little artefacts in your home and kitchen shall be wrapped and packed in well-marked boxes. We as packers and movers in Guwahati help people shift homes as well as offices. We understand that office materials as more sensitive, which is why we send our most efficient workers to relocate a corporate. You can count on us to keep your electronics safe. We have in-house electricians and carpenters who will pack your electronics properly and safely. For the best relocation experience, get in touch with Agarwal Real Packers & Movers. 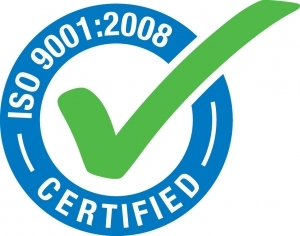 We are safe and reliable being an ISO certified company. We promise that you would love the way we help you relocate.